An inside track on what other clever people in our industry are working on, to give you ideas and encouragement to make a difference. Running the digital commerce department can be a lonely job. The brand's digital future rests on your shoulders. But how do you know if you're doing it right? How do you know if you're focusing on the right things? 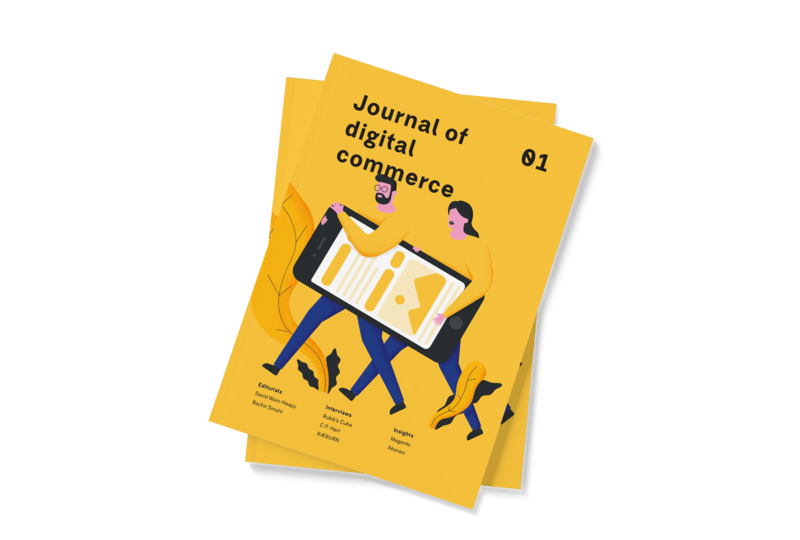 The Journal of digital commerce is the professional trade journal from industry experts, taking you behind the scenes, sharing what they're working on and challenges they have faced. 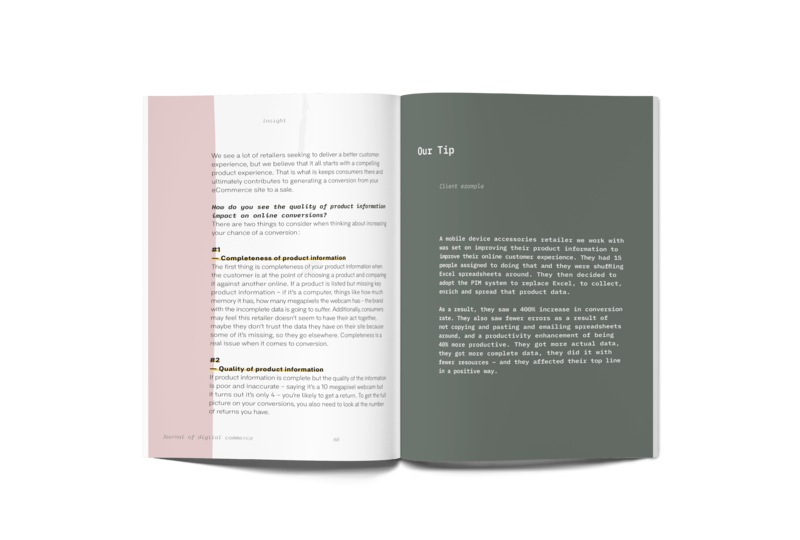 This Journal will give you an inside track on what other clever people in our industry are working on – and give you ideas and encouragement you need to make a difference. We're lucky to be able to see up close so many great examples of digital commerce transforming brands. We wanted a way to share what we've seen with our friends across the industry. Be inspired by those who doing your job too with insights from leading eCommerce experts and technology updates from Magento. 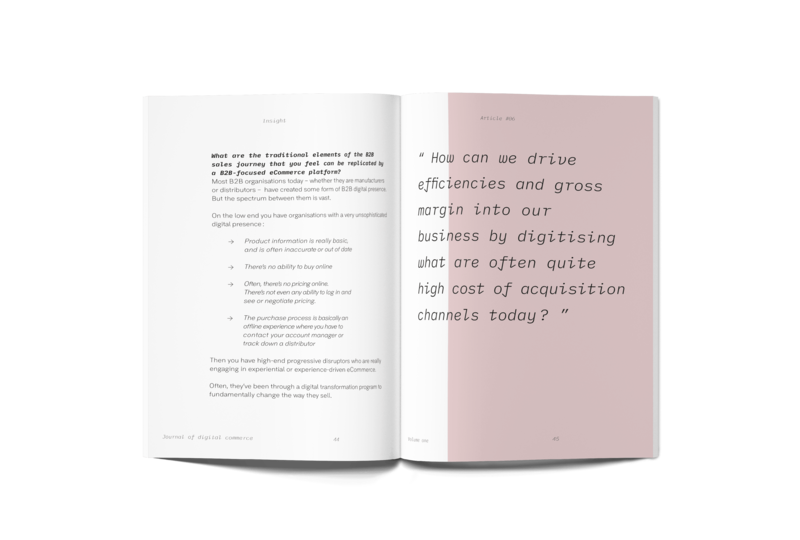 Keep up to speed with the ever changing world of digital commerce with in depth interviews, lost conversion-cures and powerful brand-building secrets. 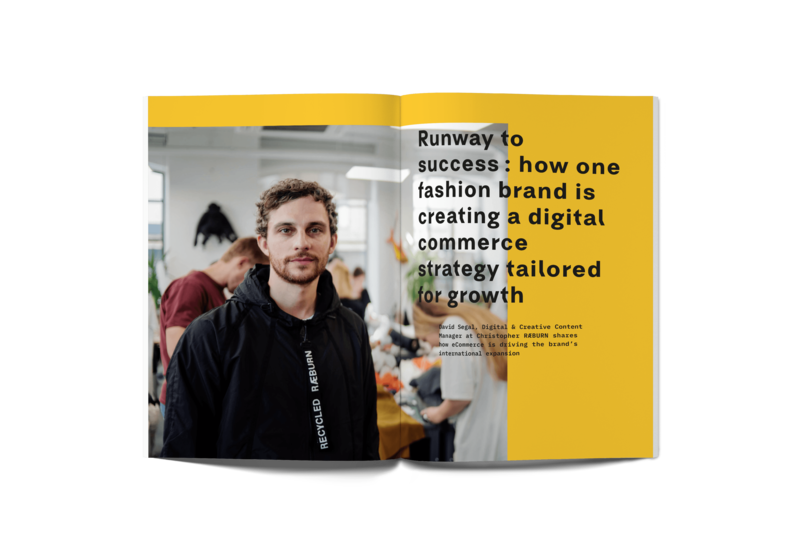 Pages of digital commerce vision that can help shape your strategy. Download the latest version now and get up to speed where ever you maybe. The digital landscape is changing daily, we love sharing new client learnings and insight from technology partners - so fill out the form below to gain access to the latest digital commerce tools and resources to help you in your day to day digital role. We will send you a link to access and download our resources (journal,e-books and much more). The Journal of digital commerce Live will lift your stories and digital insight off the page in an interactive digital forum, where your questions will be answered. More event details will be added here, so watch this space. The Journal of digital commerce was brought to you by Best Response Media. 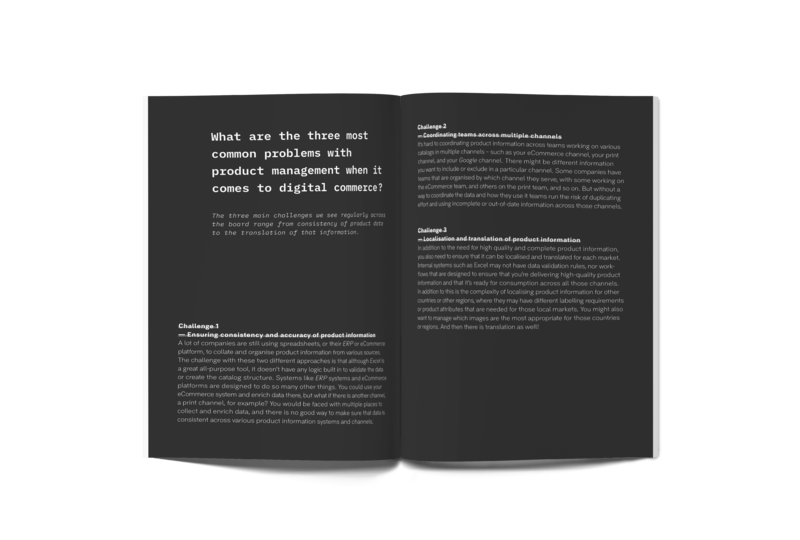 Designed, printed and published from the heart of London, read around the world – The Journal of digital commerce is a professional trade journal from industry experts to digital experts. If you’re working on something interesting that you think your industry peers would like to know about, we’d love to hear from you. Copyright © 2019 Best Response Media Ltd. All rights reserved. Thanks for signing up to receive the Journal of digital commerce. Thanks for showing your interest in the Journal of digital commerce live. Please complete the following field to download your copy of the Journal. It's 100% free! Please specify what you’d like to receive. After you’ve submitted the form below, we will send you a link to download the Journal of Digital Commerce, our e-books and much more. I give permission for Best Response Media to send me digital commerce content and event notifications. You can opt out at any time.